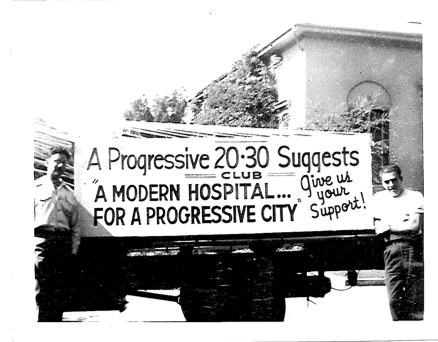 Petaluma chartered as 20-30 Club #30 in 1928, and later Active 20-30, with the merger of the Active and 20-30 service organizations. Members ran a variety of local projects such as maintaining school crossings, holding fundraisers for local charities, and was instrumental in bringing a hospital to the town. The club was disbanded until it was re-chartered in August 2009. We are a social club that enjoys helping our community! Petaluma Active 20-30 hosts fun events to benefit our community and, specifically, underprivileged children around us. The proceeds we raise benefit those children in need. Petaluma Active 20-30 #30’s biggest charitable event each year is the Children’s Shopping Spree. In August, before the school year starts, the club sponsors underprivileged children to go back-to-school shopping at Kohl’s in Petaluma. Members and volunteers take the children to shop the store before it opens to the public. Often, this is the first time these kids have owned a brand new pair of shoes or clothes that are not hand-me-downs. They are also given a backpack full of school supplies, a haircut, and a hot breakfast. These kids return to the classroom full of self-esteem, ready to learn.